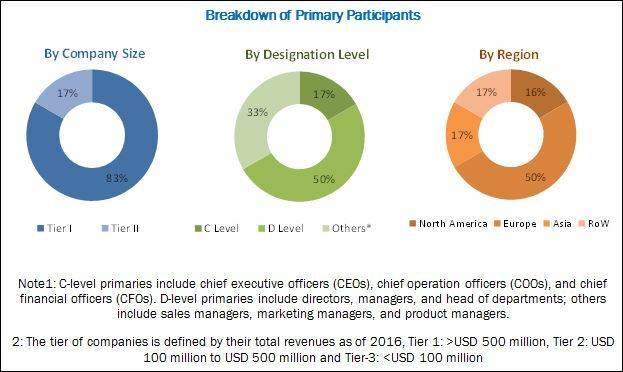 [174 Pages Report] The emergency medical service (EMS) products market was valued at USD 17.81 Billion in 2016 and is expected to reach USD 25.56 Billion by 2022, at a CAGR of 6.1%. The base year for this study is 2016 and the forecast period is 2017–2022. The key players in the EMS products market include Stryker (US), Medtronic (Ireland), Asahi Kasei (Japan), Cardinal Health (US), Philips (Netherlands), GE Healthcare (US), Smith & Nephew (UK), 3M (US), Smiths Medical (UK), Becton, Dickinson (US), Johnson & Johnson (US), B. Braun (US), and C. R. Bard (US). The global emergency medical service (EMS) products market is expected to reach USD 25.56 Billion by 2022 from USD 19.01 Billion in 2017, at a CAGR of 6.1%. The market growth is primarily driven by the high demand for emergency care; increasing incidence of trauma injuries; and growing investments by government bodies on healthcare infrastructure development. 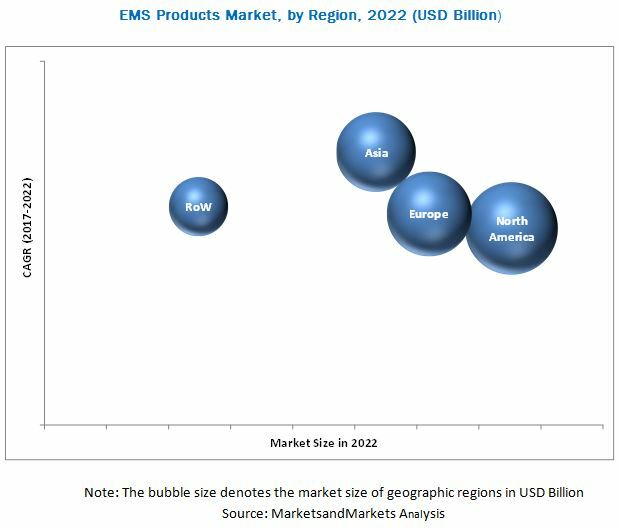 The global EMS products market is segmented by type, application, end user, and region. By type, the emergency medical products market is segmented into patient monitoring equipment, patient handling equipment, wound care products, infection control consumables, personal protection equipment, and life support and emergency resuscitation equipment. The life support and emergency resuscitation equipment segment is estimated to grow at the fastest growing market during the forecast period. The key factors supporting the growth of this market are the rising number of emergency visits and the growing requirement of life-support equipment. By application, the market is classified into cardiac care, trauma injuries, respiratory care, oncology, and other applications. In 2017, the cardiac care segment is estimated to account for the largest share of the global EMS products market and this segment is also expected to grow at the highest rate during the forecast period. The increasing prevalence of cardiovascular disorders and the rising geriatric population are the major factors driving the growth of this market segment. The EMS products market is segmented on the basis of end users into hospitals & trauma centers, ambulatory surgical centers, and other end users. The hospitals & trauma centers segment is estimated to grow at the highest CAGR in the next five years (2017-2022). The rising incidence of chronic conditions and trauma injuries and growth in investments, funds, and grants by government bodies worldwide for hospital infrastructure development are the major factors driving the growth of this market segment. The global EMS products market is dominated by North America, followed by Europe. North America will continue to dominate the global emergency medical products market in the forecast period. However, Asia is expected to witness the highest CAGR, with growth centered in Japan, China, and India. Factors such as large population, rising standards of living, growing demand for quality medical care, increasing healthcare spending, and government initiatives are driving the growth of the EMS products market in Asia. The factors such as the high cost of devices and product recalls (due to frequent failure) may restrain the market’s growth to a certain extent. Key players focused on product development and launched innovative products to maintain and enhance their position in the EMS products market. Stryker (US), Medtronic (Ireland), Asahi Kasei (Japan), Cardinal Health (US), Philips Netherlands), GE Healthcare (US), Smith & Nephew (UK), 3M (US), Smiths Medical (UK), Becton, Dickinson (US), Johnson & Johnson (US), B. Braun (US), and C. R. Bard (US) have been identified as the key players in this market. These companies have a broad product portfolio with comprehensive features and a strong geographical presence. 11.12 C. R. Bard, Inc.